The Toronto Symphony Orchestra (TSO) will make its first-ever touring appearances in Israel, with performances in Jerusalem on May 11, 2017 and Tel Aviv on May 13, 2017. The tour, coming just days before the 69th anniversary of the Palestinian Nakba and less than a month before the 50th anniversary of the Israeli occupation of the West Bank, Gaza, and East Jerusalem, ignores the Palestinian-led call for a cultural boycott of Israel, which has been supported by thousands of artists around the world to refuse to play in Israel. 1. Sign and share the petition calling on TSO musicians to cancel their shows in Israel. You can also contact the TSO by email at contactus@tso.ca or by phone at 416.598.3375 and see a full contact list for other TSO administrative staff to contact. 3. If you are a TSO member, subscriber, donor, or volunteer, withhold your support until the TSO agrees to respect the Palestinian boycott call and cancels its concerts in Israel. Be sure to tell the TSO why you’re withdrawing you support. 4. Engage with the TSO on social media by posting a comment on their facebook page or tweet at them at @TorontoSymphony. 5. Write a letter to the editor of the Toronto Star (lettertoed@thestar.ca) and other Toronto media outlining your concerns with the TSO’s decision to perform in Israel. This entry was posted in BDS Coalition Actions, Take Action and tagged BDS, boycott, cultural boycott, Toronto Symphony Orchestra, TSO on April 30, 2017 by psnedmonton. The Canadian BDS Coalition has the following open letter signed by over 20 Canadian organizations to the directors of the Toronto Symphony Orchestra (TSO) asking them to reconsider the TSO’s participation in two upcoming concerts in Israel. You can take action to call on the TSO to respect the Palestinian call for cultural boycott by cancelling its planned shows in Israel. This entry was posted in BDS Coalition Actions and tagged BDS, BDS Coalition open letters, boycott, cultural boycott, Toronto Symphony Orchestra, TSO on April 30, 2017 by psnedmonton. 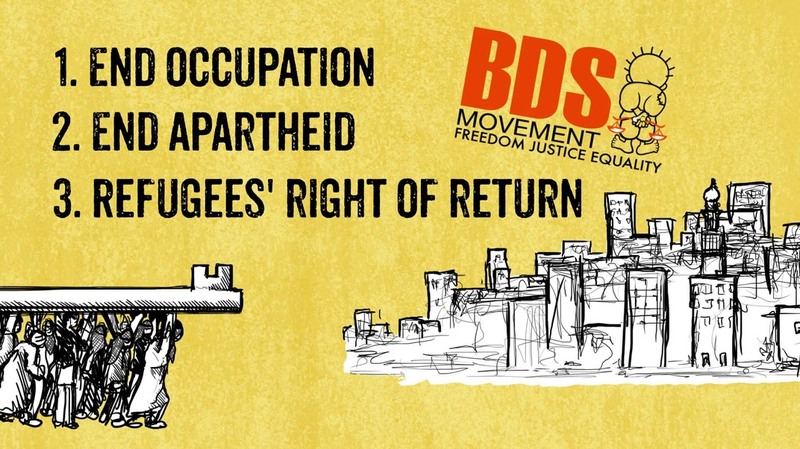 The Canadian BDS Coalition congratulates the King’s BDS Network at the University of Western Ontario and the Solidarity for Palestinian Human Rights (SPHR) at the University of British Columbia. At King’s University College at University of Western Ontario, 76% of the students who cast a vote in a recent referendum supported their student council in lobbying the King’s administration to boycott and divest from companies complicit in human rights violations against Palestinians. Implementation will be based by King’s University College Student Council (KUSC) on a resolution that brought results from this referendum along with another referendum on fossil fuel divestment to their March 19, 2017 Annual General Meeting. The approved resolution mandates the student council to lobby King’s administration to boycott and divest from any and all companies and products complicit with Israeli occupation based on principles of human rights, labour, environment, and anti-corruption. It also calls on KUCSC to research and write an annual Advocacy Paper on ethical investments and divestments that will include a five-year plan for ethical investing. This entry was posted in BDS Coalition Actions and tagged BDS, boycott, campus activism, divestment, lawfare on April 5, 2017 by psnedmonton.